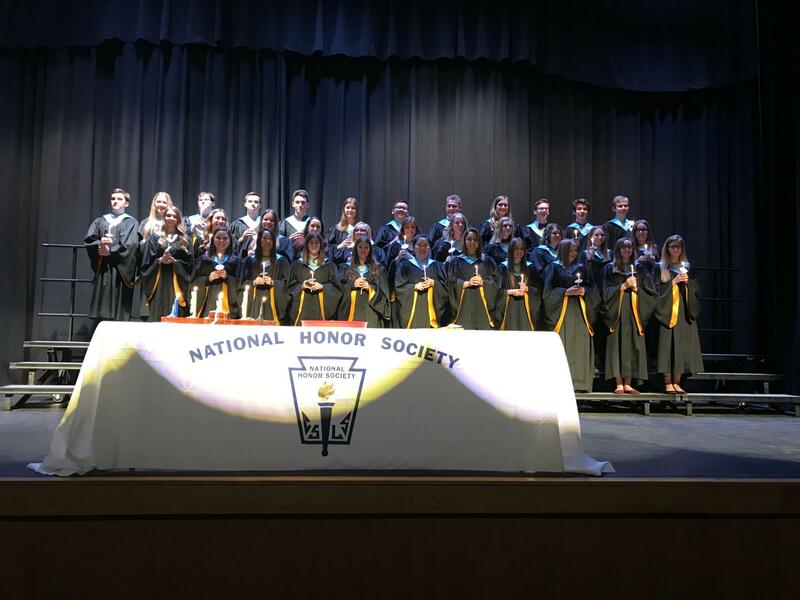 Riverside High School’s annual induction ceremony for the Dr. Mary Allen Porter Chapter of the National Honor Society was on Tuesday, November 13 at 7 p.m. in the David W. Shaner Auditorium. To be eligible for membership consideration, students must have a cumulative grade point average of 3.5. Additionally, potential members must meet high standards of leadership, service and character. Members of the Sophomore, Junior and Senior classes that met the G.P.A. requirement and completed the NHS packet were evaluated by the Faculty Council. Leadership is based on the student’s participation in community or school activities, or appointment or election to an office. To meet the service requirement, the student must have been active in three or more service projects in the school or community. Character is measured in terms of integrity, behavior, ethics, and cooperation with both students and faculty. Students are screened by a Faculty Council consisting of five members of the faculty. This year 34 students were inducted into the Riverside Chapter of National Honor Society.